Did you know that the auto repair experts at Ervine’s Auto Repair & Grand Rapids Hybrid have a willing crew of auto mechanics ready to work on your Ford? If you’ve been scouring the Internet late at night looking for trustworthy auto mechanics in the Grand Rapids area, we believe that your search is over. Our auto repair technicians have many years of experience with Fords and are happy to service your car and keep it safe on the roads of Grand Rapids. You love your Ford, and the auto repair technicians at Ervine’s Auto Repair & Grand Rapids Hybrid understand why. After all, Ford has been around for over a century for a reason! At Ervine’s Auto Repair & Grand Rapids Hybrid, we haven’t been around quite that long, but we do have decades of experience. Whether you have a Ford F150, a Ford Fiesta, or a Ford minivan, we can handle it! You don’t need to drive all over Grand Rapids looking for someone anymore. 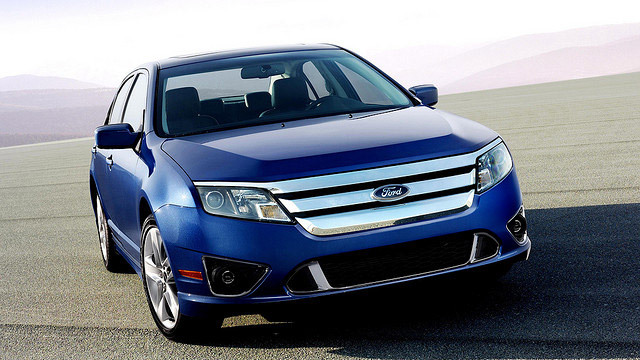 Why would you bring your Ford vehicle into Ervine’s Auto Repair & Grand Rapids Hybrid? There are many reasons, but here are a few. We don’t want you to experience any “surprises” when you come into pick up your Ford. We’re very honest and upfront with what things are going to cost. Check out our Google Reviews, you can see the living proof of our reputation. Our customers are saying we are friendly and honest. Not only that, but we have a comfy waiting room with Starbucks and WiFi. We know your time is valuable, though, so we provide loaner cars and a shuttle--or an Uber if you prefer. And we back our work with a 3-year/36,000-mile warranty. “Ervine's has always done a nice job with any maintenance or repairs needed for our vehicles. They were great with a situation that required a quick turn around on our vehicle. Thank you to Eric, Bruce, and the ladies in the office for the great experience.” -- Mike A. The auto repair technicians at Ervine’s Auto Repair & Grand Rapids Hybrid would love to service your Ford. Come in for the top-notch service that you deserve. Schedule an appointment today. Ervine’s Auto Repair & Grand Rapids Hybrid is located at 4311 Stafford SW, Grand Rapids, Michigan 49548. We’re open Monday - Friday from 8:00 AM - 5:00 PM. We look forward to your visit!